Celent estimates 80% of banking IT budgets go to maintaining legacy systems. Modernizing the core and removing the complex systems put in place to compensate for outdated designs – will free banks. Look under the covers of the shiny UX, and the API layers of nearly every core, and you will find a design initially created for a bygone banking era, modified for Internet banking, and unable to keep up without preventable time and resources. Finxact was designed and created entirely fresh starting in 2017. For Finxact, modern is not a veneer or modification but rather, an entirely new native cloud, API-first approach based on 35 years of core banking experience and inspired by best of breed native SaaS category kings like the App Store, AWS, Salesforce and others. 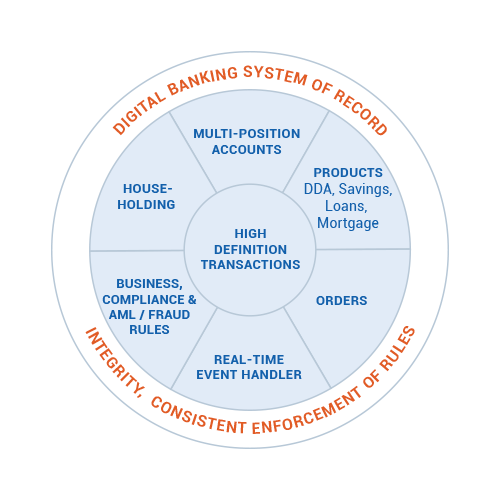 Finxact’s Core as a Service is a modern digital banking system of record (SOR) for secure record keeping and processing of rich transactions with the integrity of system, business, and regulatory rules. 100% of the SOR is accessible via APIs to banks and Finxact’s Ecosystem which provides banks with rapid integration of ancillary banking functionality. 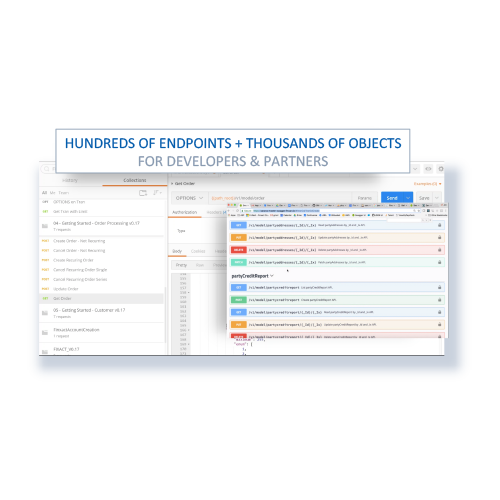 Finxact’s novel development environment is available to banks and their partners to rapidly enhance their core and generate run-time code, APIs, and documentation, with version and intellectual property management. Create and modify customer information, and accounts. Create and process transactions such as transfers, back office deposits, Fee reversal, holds and restrictions etc. Rapidly create and modify bank deposit and loan products using Finxact’s templates and base configuration. Modify (or re-create) underlying product components like interest, fees, duration, and product behaviors to create unique products. Modify your bank’s AWS instances including your operational environment, development, testing, and sandbox. 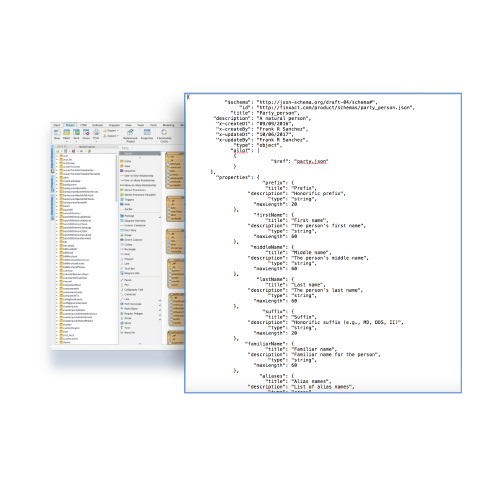 100% CRUD access (with security) to all persistent classes and objects (database layer). The future of banking services depends on data. Finxact’s Transaction APIs provide the access and richness that will fuel how banks leverage their third parties, AI tools and big data stores. 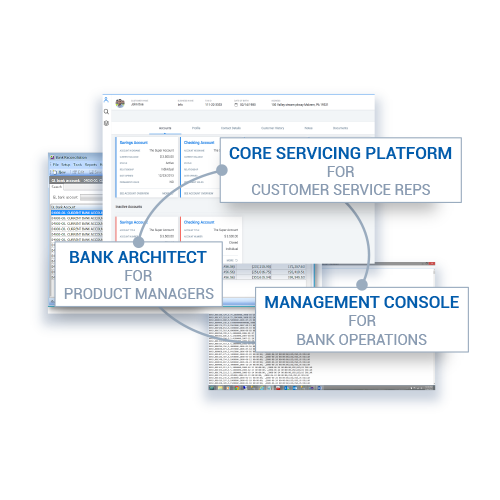 Secure API access and Finxact’s Model Driven Design provide future-proofing extensibility for configuring, modifying, re-using, and creating proprietary components which drive proprietary bank innovation. Finxact’s team has built and managed core banking systems for some of the largest global institutions. Regulatory compliance and security underpin the integrity of Finxact’s Core as a Service – and the company. Horizontally and vertically elastic to meet the scale and function needed, from the largest conversions to the most narrowly scoped innovation initiatives and neo launches, makes Finxact’s Core as a Service the Growth Engine of your bank. Finxact’s Path to Agility methodology, training tools, and templates are available to banks and their systems integration partners to reduce the risk and time for achieving demonstrable results.